Let us give you The RunAround! There's nothing else like it in Tucson ~ It's a running relay* on the Loop. The Chuck Huckelberry Loop is 120+ miles of paved, shared-use paths that connect the Rillito, Santa Cruz, and Pantano River Parks with the Julian Wash and Harrison Road Greenways. 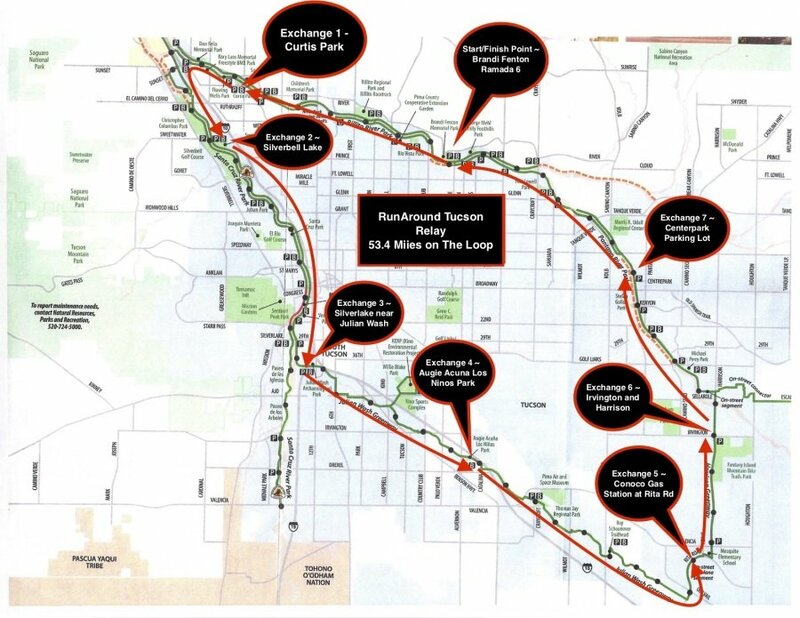 The RunAround Tucson will use 53 miles of the Loop. View the map to see the event's course. This is a supported relay race with Seven Exchanges. The relay Starts and Finishes at Brandi Fenton Park. There are 7 Exchange Stations on the course. Distances between the Exchanges vary from 4.85 miles to 8.6 miles. The minimum number allowed on a team is two, and the maximum number is eight. Teammate One starts from Brandi Fenton and runs to Exchange 1, where he/she will check in with the Event Time Keeper, and then hand off the baton to Teammate Two to begin his/her run to Exchange 2, and so forth. You MUST check in at every Exchange, even if you have less than 8 runners on a team. If your team does not check in at every Exchange, your team will be considered a DNF and will be ineligible of a team award. Each team is responsible for getting their teammates to the Exchanges and back to the Start/Finish line to celebrate. RaceJoy will be active! 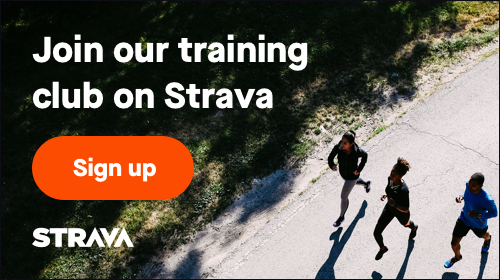 Download the app and you’ll be able to track your runners all day. Awards are based on a teams overall time it took to finish the course. It does not matter if you have a 2-person team or a 8-person team; you're all competing for the same prizes. And don't forget, if if your team is less than 8 runners, you still MUST CHECK IN AT EVERY EXCHANGE, or team will be ineligible for prizes.